Welcome to unit 217 at Harbourview, located in centrally in Downtown New Westminster. Completely renovated in 2010, this unit features all new kitchen cabinets w/granite counters, bathroom w/heated floors/ hardwood in main areas,tile in foyer/kitchen/bath, crown mouldings and bonus insuite laundry! This problem free Bosa Building has been well maintained with many updates such as complete rainscreen, glazed windows, boiler system and elevator. Located on the 'quiet side' of the building, enjoy the peek-a-boo views of the Fraser River from your large 32x7 balcony. 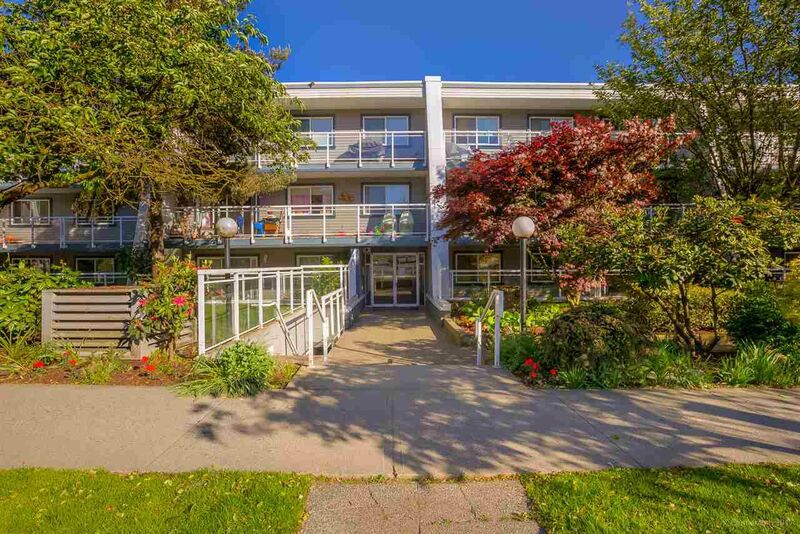 Great location, steps to Columbia Skytrain Station, Douglas College, tons of shopping and the Quay. Open Sat May 27 and Sun May 28 from 12 - 5.